Jötnar is a playable Races in Camelot Unchained. 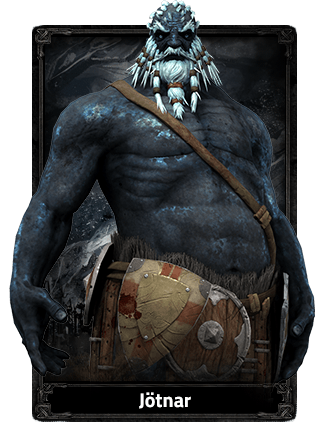 A large and imposing people infused with ice, the blue-skinned Jötnar are known as Frost Giants. As they age they literally get bigger, stronger and tougher and even more frightening to behold on the battlefield. The Jötnar are not unthinking brutes however, for not all stories and legends are true, even here among the Changed.